TR530 Time Recorder is intended for facility access controls, attendance logging, employee time record tracking and job management and other applications. 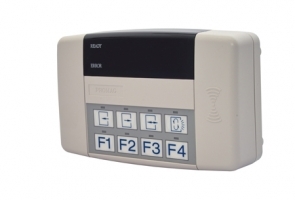 This device utilizes RFID cards or magnetic cards or barcode cards as the identification storage medium for each authorized user seeking access to the facility. The device gets programmed with its own software or directly by RS232 commands.